The first thing that strikes you when you approach the Health Dispensary in Neath, Wales is the C+D Award-winner branding proudly displayed in the window. There’s no doubt that the team are proud of the hard work and focus it took to claim the title of C+D Independent Pharmacy of the Year 2017. Having taken the brave step to combine two premises in May 2016 to create a purpose-built space, today the double-fronted pharmacy and wellness clinic provides a “safe place for people to explore ways to improve their wellbeing”, pharmacist manager Elizabeth Lawless explains to C+D. The ‘wow’ factor is even more noticeable once you step inside. 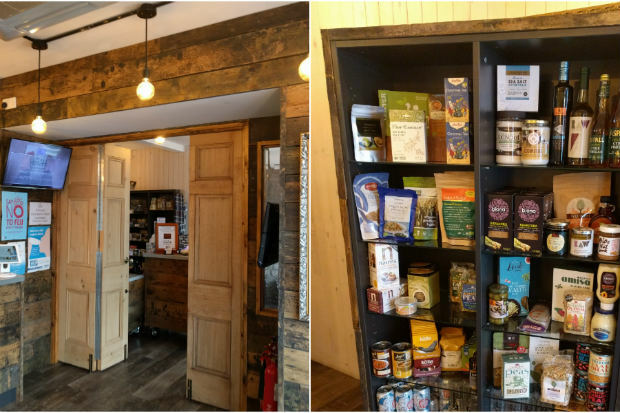 The Health Dispensary’s efforts to – as the team's C+D Award entry describes – “rebrand, refit, restructure and refocus” over the last year-and-a-half have culminated in walls cladded with reclaimed wood, reminiscent of apothecaries of years gone by – a theme that carries through to the wellness clinic's reception, accessed via an adjoining door. The pharmacy’s robotic dispenser – nicknamed ‘bot’ by the team’s pre-registration pharmacist – takes centre stage in the pharmacy, and has become a talking point for patients. With the dispensary just about visible over the pharmacy counter, the scent of an 'aromatherapy oil of the week' in the air, and subtle overhead lighting, the Health Dispensary combines a traditional and modern approach in a calming and tranquil atmosphere. Customers certainly seem to like the rebrand, and with regular communication with patients, the team has managed to retain its long-standing pharmacy community – as well as attract a younger clientele who “get the concept of the new style”, Ms Lawless says. "We still get people coming in going: 'Wow, this is different'." 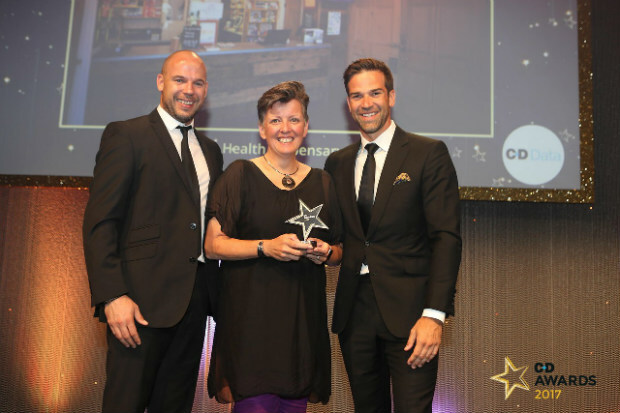 It took more than just a lick of paint for the Health Dispensary to be crowned C+D's Independent Pharmacy of Year. It involved a complete re-examination of the team’s values and core message – which eventually resulted in the strapline: ‘feel good living’. Pharmacy director Alison Sparkes says the biggest reason for the transformation is the aspiration “to inspire people to think and feel better, so our world becomes more healthy, happy and hopeful”. Combining the pharmacy and wellness clinic made services more accessible to Neath residents. 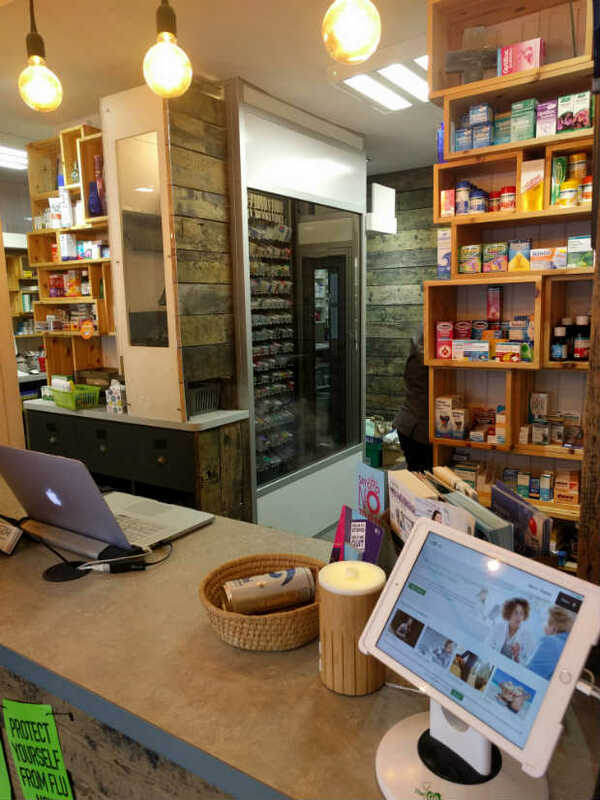 The offerings are themed with patients’ physical, mental and emotional health in mind – something that was recognised by the C+D Awards judges, who praised both the pharmacy’s “fresh new look” and its “business refocus…to meet the needs of the community”. Ms Lawless stresses that “wellbeing has a huge impact on health”, and “even if [patients] go out with just a smile, we know that makes them feel better”. “That is what we try to promote everyday,” she adds. Ms Sparkes echoes the sentiment: “Pharmacists are grounded in science and perform that effectively and efficiently, but community pharmacy has a huge social role. “Making people feel happier and more satisfied when they leave our doors not only improves health, but also invites people to come back, which is good for them and for business too,” she says. 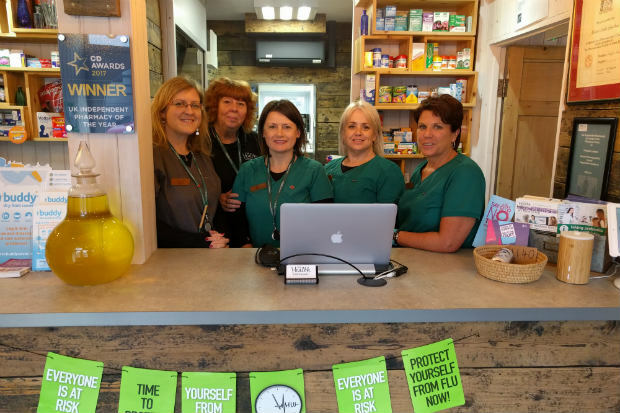 The pharmacy offers private services, priced with the local population in mind, but Ms Sparkes – who was crowned Community Pharmacist of the Year at the 2012 C+D Awards – says her ultimate goal is to set up a charitable arm to provide services to those who can’t afford it. So far, the wellness clinic’s consultation rooms have been rented to osteopaths, counsellors and audiologists. Every therapist undergoes an interview process with the pharmacy team to ensure the service they provide is relevant to the Health Dispensary’s patients, and are a “good fit” with the ‘feel good living’ brand, Ms Lawless explains. Mental health is another area the pharmacy is looking to explore further. As well as having a counsellor on site in the wellness clinic, a PhD student joined the team in January to research the feasibility of mental health interventions in a community pharmacy, and methods of recruiting clients, Ms Sparkes (pictured above) explains. The Health Dispensary has also secured some EU-funding to take part in a "major research project" with Cardiff Metropolitan University on the subject of mental health interventions in pharmacy, which Ms Sparkes hopes will lead to "more research opportunities". “As a profession we need this to happen and build some big data,” she stresses. 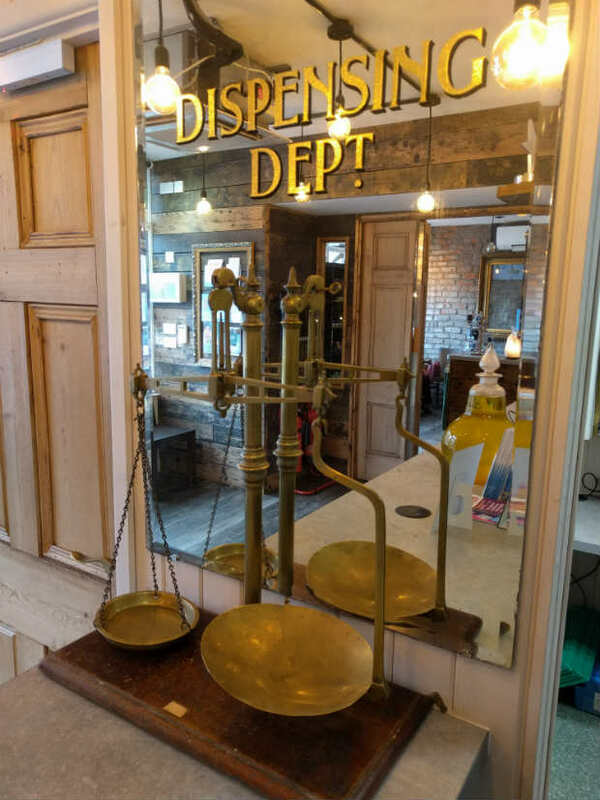 It’s not just patients and customers that will benefit from the Health Dispensary’s focus on mental health – a term that Ms Sparkes says she personally dislikes, as mental health is not “a separate entity from health itself”. “It might sound a bit twee, but in [these] dark times for pharmacy, it is important we support our teams in terms of mental wellbeing. If we can extend that to our communities, we’ll be doing a great job,” she says. The pharmacy’s new service-led focus means the team is well-prepared for the introduction of the Choose Pharmacy IT platform across Wales in 2018, which will enable accredited pharmacies to provide treatment for 26 ‘common ailments’, as well as access to electronic discharge letters. 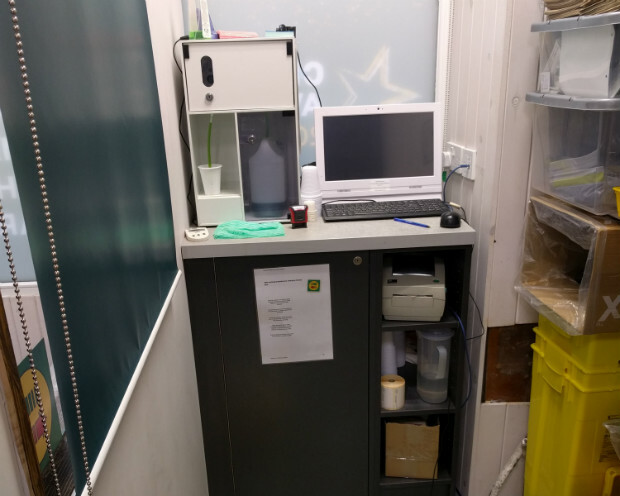 But Ms Lawless says it doesn’t mean the pharmacy's traditional services – such as its Methameasure methadone pump (pictured below), flu vaccinations and medicines use reviews (MURs) – are neglected. “Having said that, we do opportune interventions as well,” she adds. The team worked hard to keep the pharmacy service running while the building was being refitted, and patients remained informed via text messages, emails and social media. The pharmacy’s customer relationship management (CRM) system – which includes an automated text messaging service – is “really good for MUR engagement”, and allows the team to send appointment reminders, birthday messages and announcements about new or discounted services and products. Ms Sparkes has taken the lead on marketing and the “behind-the-scenes” running of the business, including manning the pharmacy's social media; pharmacists on Twitter may have seen the Health Dispensary tweeting using the #feelgoodliving hashtag. While Ms Lawless is “really moving things forward from the pharmacy side”, Ms Sparkes says. Despite its slick new appearance, the team isn’t shy of displaying leaflets and promotional banners in the pharmacy. The TV displays are changed to match the brand’s marketing calendar, and Ms Lawless explains that much of the pharmacy is “movable”, to make way for more interactive events and wellbeing workshops. Not content with the massive transformation over the last two years, Ms Sparkes says the team took another “big decision” in 2017 – hiring a business advisor to help develop the pharmacy’s brand and organisational culture. The Health Dispensary pharmacy team from left to right: Elizabeth Lawless (pharmacy manager), Von Greaves (clinic assistant), Lee Hoskins (ACT), Louise Protheroe (pharmacy assistant), and Barbara Gill (pharmacy technician). During the Health Dispensary’s rebrand, it was important to keep staff on board with the changes, Ms Lawless explains. “A happy team makes happy work,” she says. Today, the 11-strong team – director Ms Sparkes, pharmacy manager Ms Lawless (pictured above, far left), an accredited checking technician, two pharmacy technicians, two dispensary assistants, two clinic assistants, a delivery driver and, for the first time this year, a pre-registration student – “are all stepping up and really fulfilling their role potential”, Ms Lawless says. “Everybody has clear roles and understands how the system works,” with suggestions and feedback from staff regularly sought to help improve the pharmacy's service. 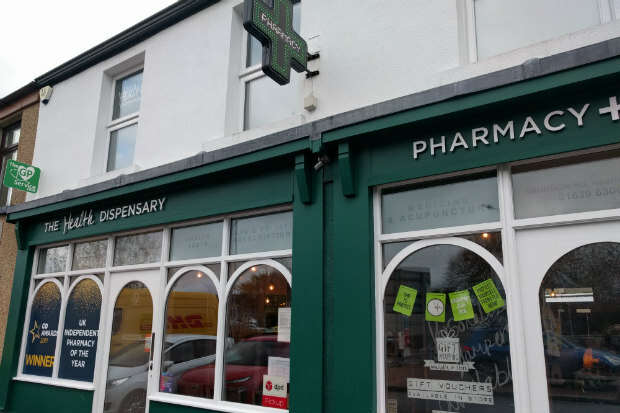 Working for the Health Dispensary has been “hugely different” to her past pharmacy jobs, Ms Lawless says, and it has been “nice to see the potential for the role stepping away from just checking [prescriptions]”. Could you be crowned Independent Pharmacy of the year in 2018? Entries for all 12 C+D Awards categories are now open, so find out more here. Does your pharmacy offer wellbeing services? Wow lovely in Wales, but shame so far from me this is the sort of pharmacy place I continue to dream about. I can imagine keeping the place looking cosy works well in contrast to the clinical modern look we typically see these days. While I commend the work carried out here, it could be said that Pharmacy in England already does lots of "charitable work"